Why Choose Our Industrial Tank Cleaning Services? 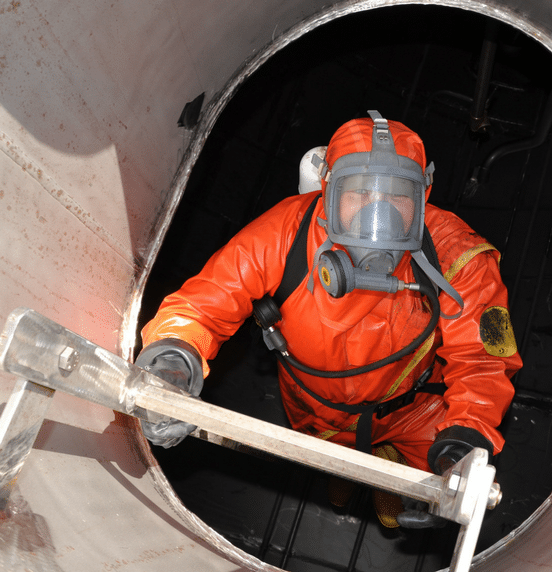 When it comes to industrial tank cleaning, it’s important to seek the help of a team of professionals. Otherwise, you run the risk of being left with a tank that hasn’t been properly cleaned and industrial standards not being met; both of which can lead to larger issues and more work. By choosing industrial cleaning experts such as those here at Mantank, you are guaranteed the job will be completed to a high standard and in a timely fashion. What Makes Our Industrial Tank Cleaning Services Different? – Rather than offering a ‘one size fits all’ service, we take the time to get to know you and your business. By doing so, we are able to formulate the best industrial tank cleaning strategy. – We understand that industrial tank cleaning can be costly, which is why we work with you to keep the costs down. Instead of taking our time, we work quickly and efficiently to ensure you benefit from maximum cost savings wherever possible. – One of the biggest problems that businesses face when it comes to industrial tank cleaning, is downtime. Tank downtime can have a big impact on how well you are able to operate, which is why we work as quick as possible. By doing so, downtime is kept to a minimum and you can get back to using the tank as soon as possible. – Instead of offering one or two services, we offer a complete cleaning solution. Whether you’re in need of a simple clean or something a little bit more thorough, you can count on us. – We are extremely experienced and everyone at Mantank has undergone professional training, which means we are able to work safely and securely at all times. This is especially important as many substances present during industrial tank cleaning can be harmful or flammable. – Having had experience in all different types of situations, the Mantank team are able to tackle even the most complex jobs with ease. So, even if you have a complicated request, we’re able to accommodate it. – In order to offer a thorough industrial tank cleaning service, a wide range of state of the art equipment and tools are needed; all of which we have at Mantank. We take pride in keeping our equipment up to date and in great condition. To find out more about finding our industrial tank cleaning services, get in touch today. Contact the Mantank team on 0161 799 3337 or 01642 618006 and speak to an expert. Alternatively, get in touch online. We’ll get back to you as soon as we can.